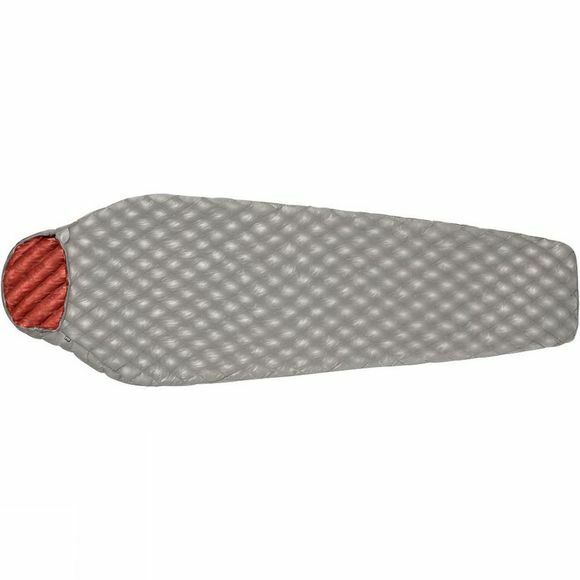 On summer hiking trips, the Airflake 10 Sleeping Bag Large from Jack Wolfskin makes a cosy nest for the night–whether you're camping outdoors or staying at a mountain hut. And if you opt to spend a night under the starts or under a tarp, it's guaranteed to keep you nice and warm. The innovative fill material is totally insensitive to moisture. And it's as light as down too. The soft outer fabric wicks moisture effectively, while you stargaze in comfort or gather your strength for the next day's adventure. So you get a pleasant, dry internal microclimate–and a good night's sleep. Another advantage with it when it's time to get moving again, it stuffs compactly into its waterproof pack bag.